So far artanimals has created 246 blog entries. Sweet Sammy has a unique story. Hurricane Matthew displaced him for his original home and a kind senior found him in pretty rough shape. 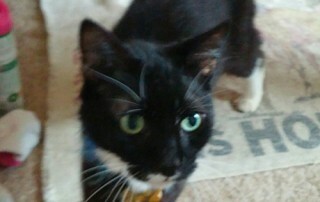 The woman fed Sammy, fell in love with him and brought him to the SPCA for shots and a spay, despite her fixed income. We wish the story had ended happily there, but there was a tumor on Sammy’s eye and it needed to be removed. Through donations from Sustaining Members and Facebook friends like you, he was able to get the necessary procedure! Many thanks! 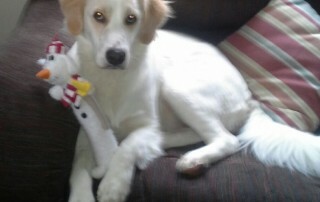 Not too long ago, Parker tested positive for heartworms. Without treatment Parker would not have survived. This sweet boys’ family was unable to pay for the full heartworm treatment required to save his life, so they turned to ART for assistance. Through generous donations, ART was able to raise the $332 needed to complete the treatment and save Parker’s life. Thank you for making an impact on this family and helping to save sweet Parker’s life. 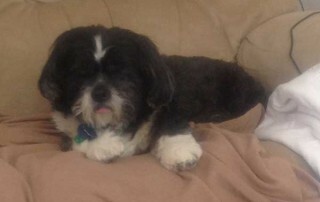 Onslow suffers from a heart condition that requires ongoing vet care. Recently Onslow fell very ill and it was discovered that he had fluid in his belly. The vet was able to treat Onslow with medication, which meant he would not require surgery to remove the fluid; however, the illness impacted his heart condition. As a result of the illness, the vet ordered an echo-cardiogram and bloodwork to better understand the impact on Onslow’s heart. A kind family friend covered some of the medical expenses incurred, but Onslow’s family, due to hardships they had suffered with their own health, was unable to pay the remaining $260 for Onslow’s treatment. Through generous donations and the kindness of others, ART was able to help raise the remaining funds needed for Onslow’s treatment. Thank you ART supporters and donors for your generous donations that allow us to bring success stories like Onslow’s to light. Symba and her family hit very hard times. As such, Symba and her sibling were staying with family friends while the family attempted to recovery from their hardship. During their stay, it was discovered that there was something very wrong with Symba when she began to lose a great deal of weight. 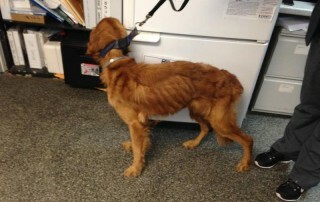 ART and the SPCA worked together to address some of the medical conditions believed to cause the extreme weight loss. The SPCA donated medications to help sustain Symba until a full diagnosis was reached. 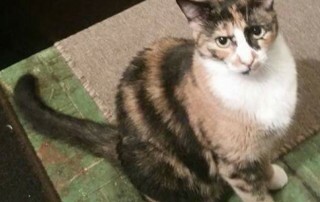 Bloodwork indicated there was an issue with Symba’s liver, but an ultrasound was required to confirm the diagnosis. 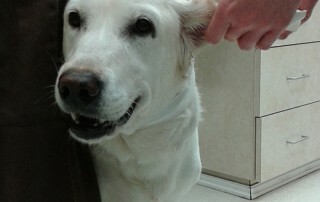 Symba’s family was not in a position to afford the cost of the ultrasound. 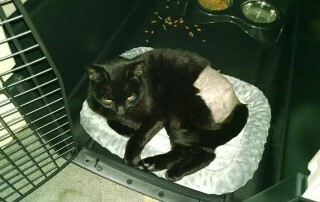 ART was able to raise the $300 for an ultrasound and Symba is now on the road to recovery. 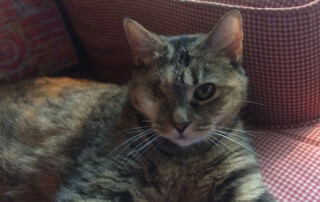 Working with partners, such as the SPCA, and receiving donations from ART supporters helped Symba receive the treatment she needed to survive. Thank you for your continued support! Lily did not wait for her mama to treat her with a bologna snack. Instead she broke into the package eating more than she bargained for. Poor Lily’s impatience caused her to ingest packaging material, which then caused her to continuously vomit. Her family feared the plastic had also impacted Lily’s bowels because she was unable to go potty. 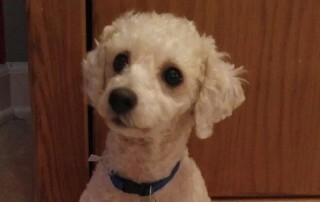 Lily needed immediate treatment, but her family could not afford the cost of the vet visit. ART was able to help raise $200 for Lily’s x-rays and the fluids needed to save this sweet girls life. Thank you to our Sustaining Members for making this possible! Help ART save other lives by donating to https://artanimals.org/donate. 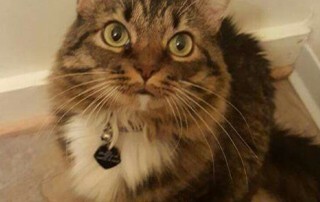 Oscar was rescued from a neglectful situation and had some pretty bad dental issues. Thanks to our Sustaining Members and our donors, we were able to pay for his dental extractions and he is settling in with his new mama. You guys are awesome, thank you!